The AVK CERTUS ball valves have been independently type tested against worldwide leading standards. Also they have undergone additional testing over and above that required in the specifications. This ensures that the valve is suitable for distribution systems and environments anywhere in the world. 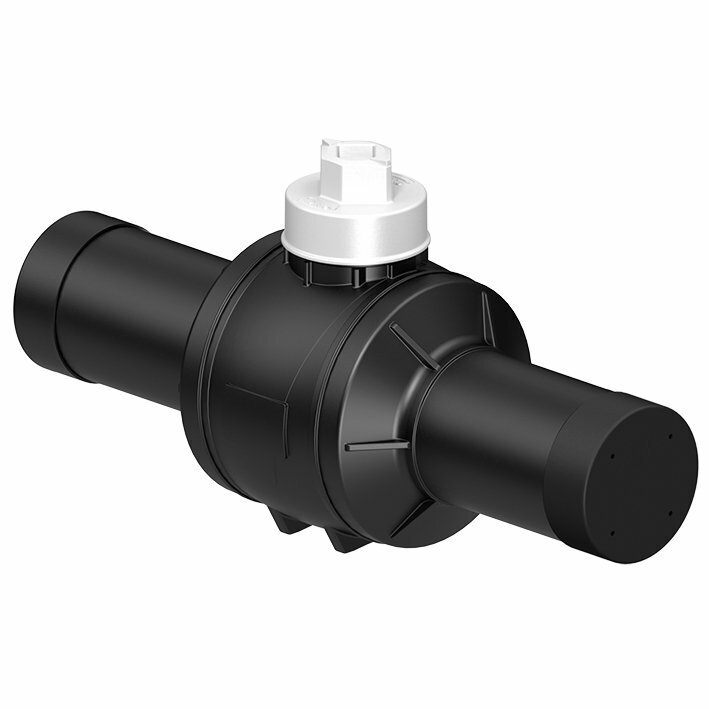 The AVK CERTUS ball valve range consists out of multiple sizes starting as of OD20 up to OD180mm. Depending on the requested pressure rating the valves are available with SDR11 or SDR17.6 spigot ends. The valves can be used for multiple application areas. The selected materials are tested and approved for both GAS and WATER applications. When used in GAS applications the valves are rated up to MOP10 and in case of WATER applications PN16.